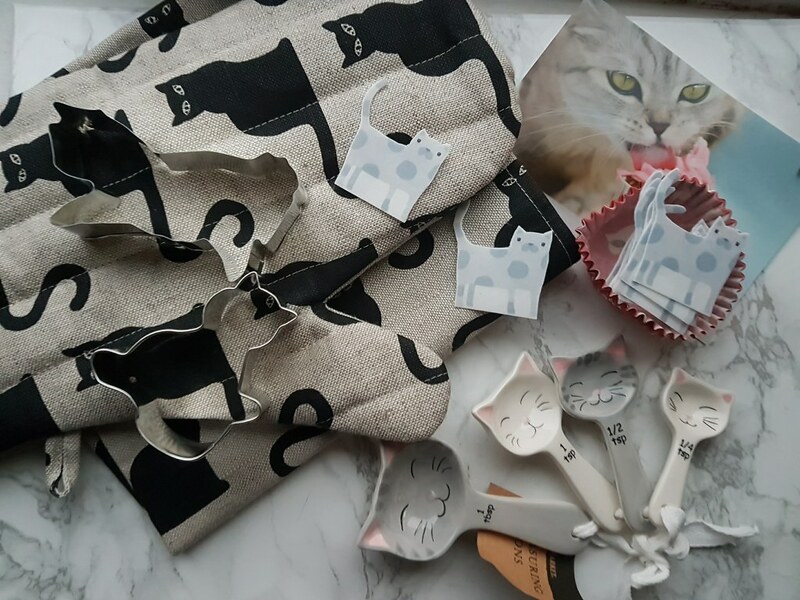 I was very lucky to be sent another amazing My Purrfect Gift Box to have a look at and review. I have reviewed a previous box which you can find here. If you don’t know what My Purrfect Gift Box is, it is a monthly subscription box that is ideal for any cat lover! 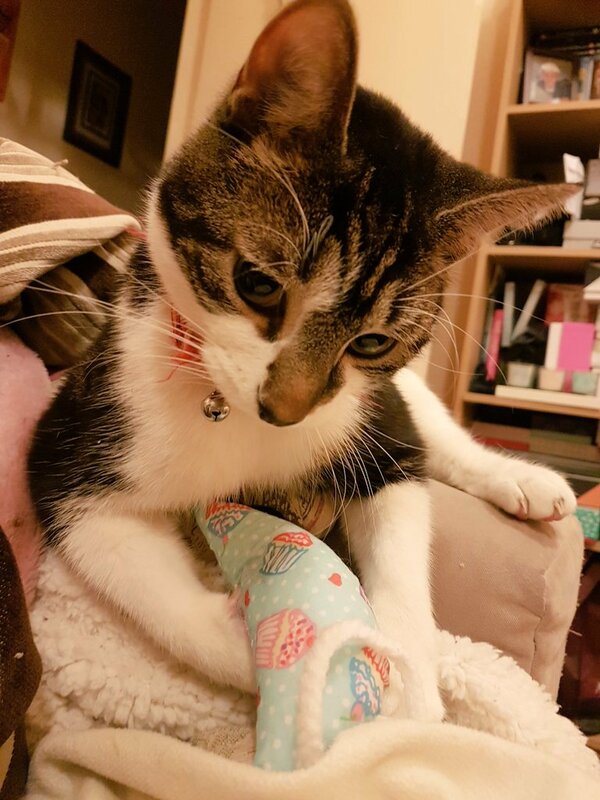 There are different options available so if you have cats then you can get some treats included for your kitty, or if you are a cat lover without any furballs at home then you can pick a box that doesn’t have any of the kitty treats in. You can find the different options here. My cats absolutely loved this box and even quickly claimed some items out of it before I could even go through it. Find out what they loved at the end of this post. This month’s theme is all about autumn baking and as always everything is cat related! It has been a while since I last did any baking but this will definitely give me some inspiration in starting again! It is a perfect time of year to start baking some cookies and in the box, there was some gorgeous cat shaped cookie cutters each one a different cat shape. There are 4 cookie cutters and the RRP is £19.99. I will have to find some cookie recipes and make some adorable cat cookies! How adorable are these ceramic measuring spoons, these will definitely make baking a lot more fun! They will also look cute on display in the kitchen. I was made up finding these inside the box. 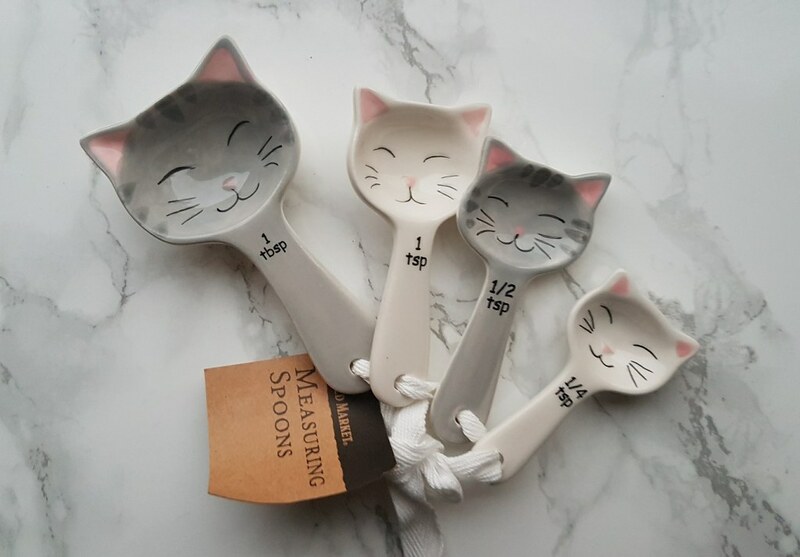 You can get your own set of measuring spoons from the My Purrfect Gift Box online shop for £9.99. The set consists of four spoons and each one has an adorable cat face on them, I really need to find a perfect spot to display these when I won’t be using them. 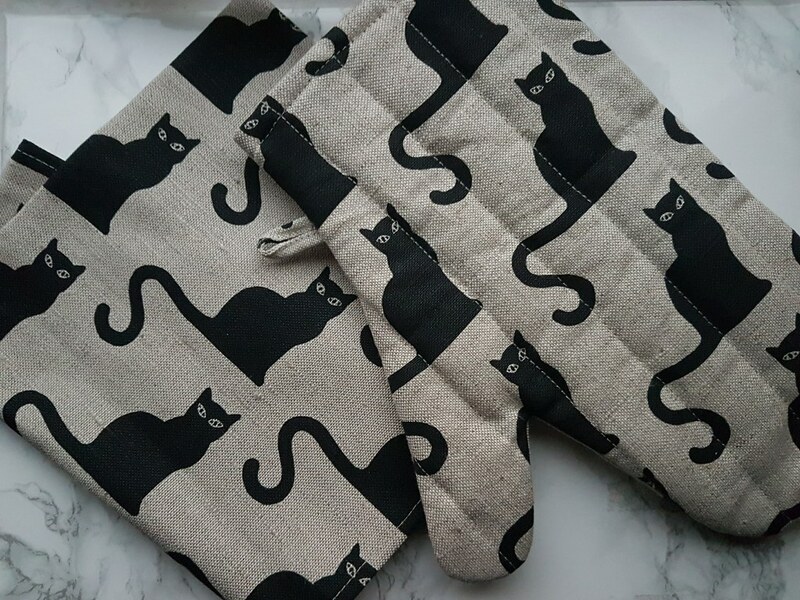 I was actually in need of a new tea towel and oven mitt.. yes I think I am now at the age where these things matter! I absolutely love the design of these, the black cats looks just like my black kitty Bella. These are both handmade and you can find them over on Etsy and retail for £19.99 (including shipping from Germany). I love the quality of these and I can tell that these will most certainly last a while. 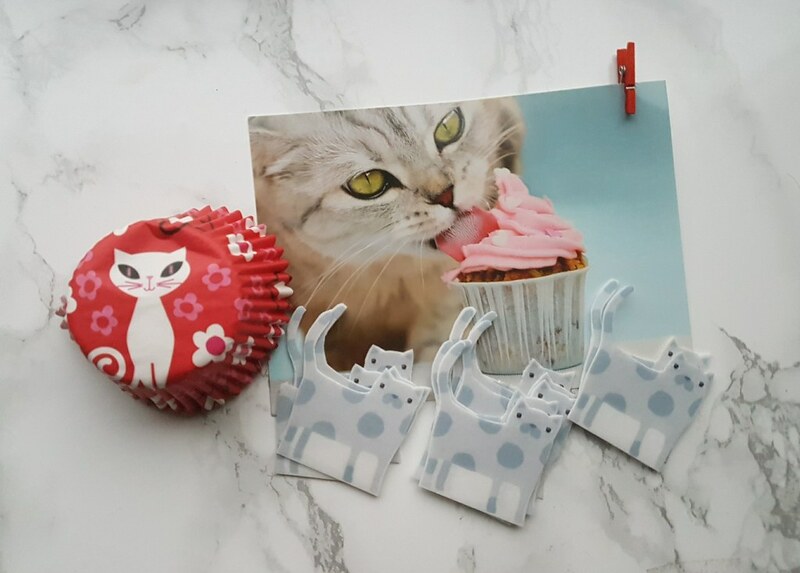 Look at how super cute these cupcake cases are and these edible cat toppers that are made out of rice paper. The cupcake cases can be found on Etsy and retail for £8.50 including shipping to the UK. The cat toppers can also be found over on Etsy by LabelAmour and they retail for £1.50. Included in the box was also a postcard of a cat licking a cupcake, on the back is a recipe for some gorgeous pumpkin cupcakes. I really can’t wait to try the recipe out and have some gorgeous cat-themed cupcakes! Finally here are the items especially for your precious kitty. 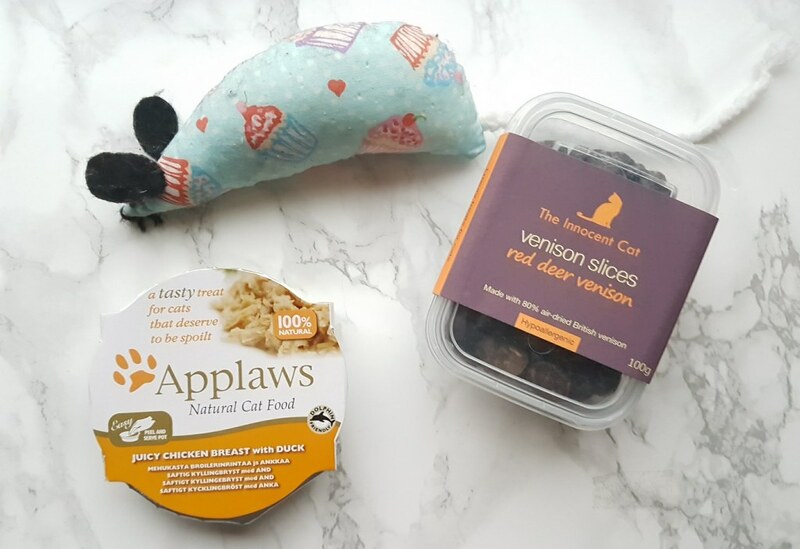 There is a tub of 100% natural cat food by Applaws in juicy chicken with duck flavour, the cats absolutely loved this and it was completely gone within seconds when I gave it to them. There was a tub of Luxury Venison Slices from The Innocent Cat Company, the cats also loved these as well. They have never really had any treats like these before so the definitely went down a treat! The last item is what my naughty kitties stole before I got a chance to take my photos, so it looks a little battered and has some teeth marks in it! It is a catnip mouse that is decorated with sweet cupcakes, keeping in with the baking theme. The cats smelled this as soon as I opened the box and quickly ran off with it, fighting over who’s turn it was to have it next! When you have three cats these things can get a little complicated! I will be having to buy a couple more just so they can all have one each! These can also be bought from Etsy for a super cheap £3! My youngest one Mylo managed to get a turn and even looked up slightly so he could have his photo taken! He quickly went straight back to biting away on the mouse! Have you ever tried My Purrfect Gift Box before? Don’t forget to check out my previous review. Are you a fan of cats? Or do you know someone this would make the purrfect gift for? I’d love to hear from you, leave a comment below. I NEED every single thing in that box! Its all just absolutely adorable!